Given the fact that you may be using some sort of project management software for marketing or any other professional activity for that matter, there is a sly truth to the assertion when I say that every one of us has tried — at some point or the other — to get the load of work off of our backs and pass them on to someone else. And the truth be told, there is no harm in doing that, unless that someone does the job as good as you possibly can or better (if one is being optimistic). But the reality that bites into this whole picture pin-points the fact that delegation is easier said than done. Even when you have fancy a project management software at your disposal, there are no guarantees for a job well done unless the right people are appointed to appropriate tasks which are relevant and relative to their strengths. In what many professionals across the world deem right, the act of delegation is an art as well as a science of sorts. 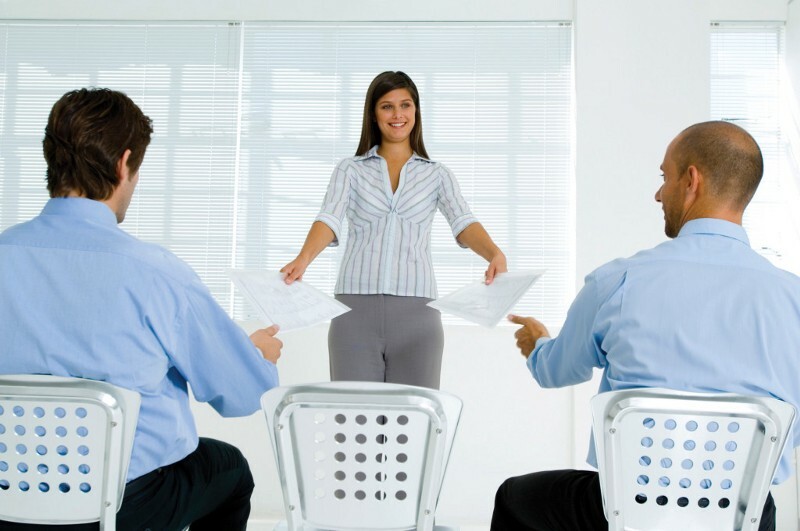 Treated as a methodical activity, delegation involves following a process which conventionally follows this order — identifying right candidates for delegation, defining the task in full clarity, allotting specific job responsibilities, getting an acknowledgment for the delegated task, monitoring the task, and providing for feedback during and at the end of the completion of the said assignment. As an art, it is simply a matter of exercising good sense — to allocate tasks to people who can do it better or as good as you can so that you are left to handle bigger things of relatively greater value. So how do you do it? It’s pretty straightforward and as mentioned earlier requires that you combine a little pinch of arty sense along with a good dollop of practical measures. Delegation works best only when you have set up proper quality standards and a fair timeline for task achievement. Otherwise you will end up expecting Picasso efforts from a team who doesn’t know the difference between a Picasso and child art. Hand out clear instructions. The only way to tackle a task is to first have everybody understand it in full clarity. Let go of the assumption that you are the only one who can get the job done. Be open to the idea that others can accomplish tasks just as well, or perhaps better. One of the ways of bringing in efficiency in your work system is by deploying what is called the ‘Pareto Principle’ or more simply referred to as the ‘80–20’rule. The premise of this rule is that 80% of effects are normally generated by 20% of total efforts. Putting this in business iteration and it simply means that 80% of your business will typically come from 20% of the total collaborative effort that is put together in your organisation/team. The challenge, therefore, lies in separating this highly lucrative lump of 20% effort from the not-so productive 80% of tasks and ideally delegating this latter chunk of work either to some other person/ team or an outsourced team. This kind of ‘divide and rule’ norm is a common practice in most marketing organisations for that matter. And while most of these said organisations do employ some marketing project management software or marketing workflow software, they use them (among other things) to distinguish ‘high value, high priority’ tasks from ‘low-value, low priority’ ones. Not only does it tell apart true value-adding efforts from the clustered lot but also help schedule project activities better and in a meaningful way. Such project management software for marketing teams have come a long way today to make the lives of marketers easy by allowing them to identify, delegate and schedule activities better and achieve outcomes in a rather efficient way. The thing to note here is that because technology tends to makes life easy it might as well be made useful for making the often unconvinced task of delegating responsibility at least a controlled endeavour. Through system software — such as marketing project management software and workflow software — you can streamline every task and every priority, review progress of scheduled tasks in a hassle-free way, and track timesheets to check for completion of project on time. These softwares basically serve as a one-point interaction centre where teams can collaborate better not only with each other but also their clients and vendors. Systems allow you to grow faster and with more consistency — ‘consistency’ being the key word here. Because more often than not organisations start flustering (from the very start, at times) due to lack of proper understanding of the task, and its key responsibilities. If there is no harmony in collaboration of various individual efforts, it’s an effort wasted. You can get a lot done when there is assurance of task precision, consistency and, time and money efficiency. Adopting such systems for ease of collaboration and control is actually one the smarter ways of delegation, ensuring sufficient control and tracking in the hands of the delegating authority as well the appointee of the activity. This kind of delegation effort works best when most or large numbers of your tasks are of comparative high value. Delegation is about making people responsible for task as well as accountable for its success. It’s not just about placing an order but ensuring the person to whom the task has been appointed feels invested in it enough to do a god job and recognises that he/she is responsible for its outcome. The good thing about accountability-led arrangements is that they drive quality work. This makes delegating tasks far more convincing than it would otherwise. The success of any project lies in its ability of the team to handle fitting amounts of responsibilities. No one project team has ever succeeded because of its leader alone. Sir Richard Branson does not exactly lead the pompous conglomerate that is the Virgin Group all by himself. Steve Jobs did not raise Apple all by himself. It’s a matter of collaborative effort — a matter to knowing your strengths and strengths of those who work with you. Being able to recognise individual capabilities and abilities is the key to a project organisation’s future growth and success. And therefore it all boils to the matter this post started with — delegation. Delegation is good for many reasons. It gives room for people to feel invested in an idea and it’s a strong foundation for building a responsible team. It is difficult for project managers to let go of the control into other people’s hands, but it’s important to view delegation not as an act of letting go of control but merely ‘sharing’ of control. It’s about becoming ‘dispensable’ enough that your team can run on its own without there being a need for constant direction so you, the leader, can head on to addressing more pressings tasks.